pt::tclparam::configuration::tcloo(n) 1.0.4 tcllib "Parser Tools"
This package is an adjunct to pt::peg::to::tclparam, to make the use of this highly configurable package easier by providing a canned configuration. 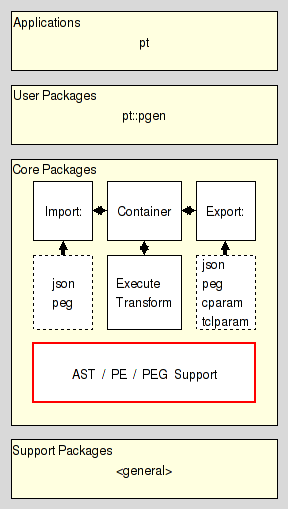 When applied this configuration causes the package pt::peg::to::tclparam to generate OO-based parser packages. The command applies the configuration provided by this package to the cmdprefix, causing the creation of OO-based parsers whose class is name, in package pkg with version.